With the 40th anniversary of Star Wars coming next week, everyone is going to celebrate in their own special way. However, one theater in Los Angeles might have everyone else beat with the weirdest collection of footage this side of the Outer Rim. On May 25, the Cinefamily in LA is hosting an event called Star Wars Nothing But Star Wars, and it’s a 70-minute mashup of insane Star Wars footage covering all 40 years of its pop culture influence. The footage runs the gamut, from official and understandable, to NSFW and messed up. But it’s all real and that makes it awesome. Here’s a trailer that gives just a hint of how bizarre things could get. 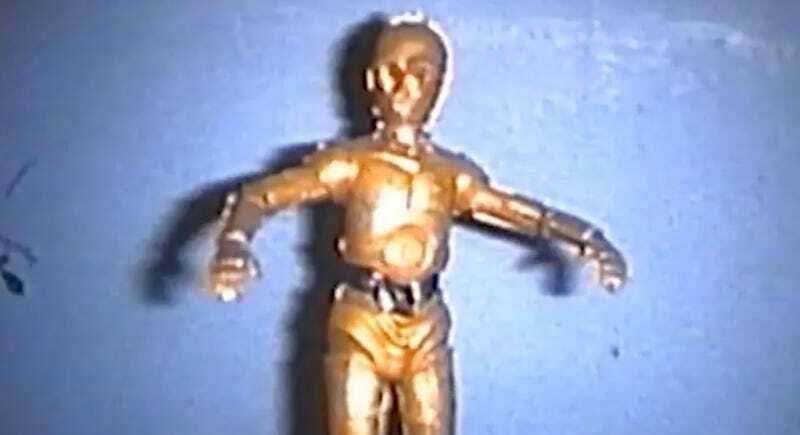 And now, none of us will ever be able to unhear Anthony Daniels rapping about C-3PO. So, that’s just a taste of this crazy event. Where did the idea come from? And now was the perfect time for Star Wars. Tickets for the event are on sale now and can be found at this link. It will sell out very quickly. And if you can’t make it, don’t fret. There’s a chance the mixtape will find its way online at some point.